Dr. Maddox grew up in Trussville, Alabama. He received a bachelors degree in Biology then graduated from the University of Alabama at Birmingham School of Dentistry in 1997 receiving numerous awards and honors. 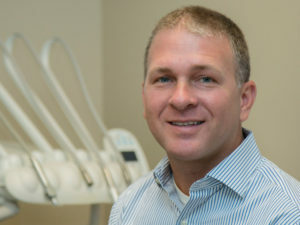 He is a member of the American Dental Association, the Academy of General Dentistry and the Baldwin County Dental Study Club. He also strives to stay on top of the newest technology to offer his patients the best care possible by being a member of the Cerec Study Club. Dr. Maddox enjoys fishing, boating and hunting with his family on the beautiful Gulf Coast.